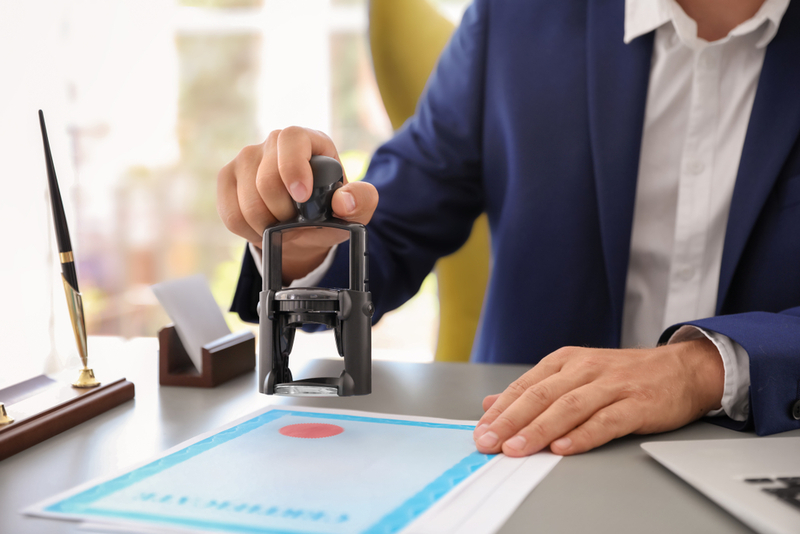 Accreditation serves the interests of companies, agencies, and the public through the establishment of standards, policies, and procedures in conjunction with an objective third-party professional evaluation designed to identify and inspire sound education and training practices. When such a process is matched by an institution’s commitment to high standards and accountability, a partnership for quality becomes a reality. The essential purpose of the accreditation process is to provide a professional judgment as to the quality of the educational institution and program(s) offered, and to encourage continual improvement thereof International Preparatory School is an Immigration Approved School. The process by which the ACCET Accrediting Commission grants public recognition to an educational institution which has voluntarily submitted to an evaluative comparison with established qualifications and standards, both upon initial application and periodically after that. ACCET’s function is focusing on educational quality, the continuous assessment and improvement of instructional practices, and assistance to member institutions in the advancement of these methods within their programs. International Preparatory School is an Immigration Approved School and received the official accreditation by ACCET and is committed to continuing developing quality programming, offering its students the highest educational value for their language training investment. 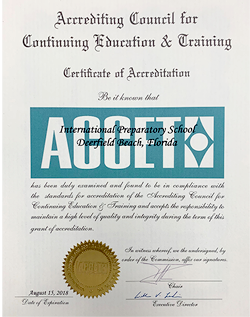 The Accrediting Council for Continuing Education & Training (ACCET) is a voluntary group of educational organizations affiliated for the purpose of improving continuing education and training. Through its support of an independent Accrediting Commission, the ACCET membership promulgates and sustains the Standards for Accreditation along with policies and procedures that measure and ensure educational standards of quality. ACCET is recognized for this purpose by the U.S. Secretary of Education to be an Immigration Approved School and, accordingly, is listed by the U.S. Department of Education as a nationally recognized accrediting agency.